Elaine Everett's Lighting is conveniently located at the corner of Spring Green and Cinco Terrace. Our unique mix of home accessories, ceiling fans, decorative lighting and hardware is unlike any other store in Katy. All three of the owners are residents of Katy and have a combined total of 50 years of lighting and hardware experience. Our mission is to help clients customize their house and transform it into their home so please come by and visit, we are waiting to serve you. NiteLites of Houston Outdoor Lights would like you to consider our Houston Blue Star compliant outdoor lighting systems for your property. Our eco-friendly, electricity saving LEDs are strategically designed and positioned to heighten the security and safety of every property. Our Houston Outdoor Lighting business is proud to be a part of Houston’s vibrant business community. Our outdoor illumination services include: lighting design, installation, and repair of architectural and landscape lighting. We take pride in our rugged, cast copper and brass, contemporary light fixtures. Dramatically Enhance Security and Safety of Commercial & Residential Properties: Deter Criminals a well lit property is one of the best ways to discourage prowlers Increase Safety and Security of your tenants with our outdoor lighting when they leave early in the morning or arrive late at night Include Motion Sensors for an added dimension of security Reduce Liability unlit sidewalks, steps, and other high traffic areas are potential hazards Reduce Electricity Consumption, Operating Cost, and Improve Your Bottom Line: Lower Electric Consumption by approximately 75% with NiteLites LEDs Add Zone Control Lighting option to optimizes savings by providing lighting — only where you need it —when you need it Reduce Carbon Footprint to attract new and retain current clients with “Green Amenities” Optimize Occupancy of your commercial and residential properties with the beauty and safety our lighting provides NiteLites of Houston Outdoor Lights participates in the Houston Apartment Association,Houston Blue Star, and Houston’s Network Tomball. Nationally, NiteLites – The Professional Outdoor Lighting Franchise is a member of American Society of Landscape Architects, International Dark Sky – the international organization that helps to improve the nighttime environment by reducing light pollution with the use of shielded fixtures, low voltage lighting systems, and outdoor LEDs, the National Association of Home Builders, and abides by the International Franchise Association code of ethics, whose mission it is to protect, enhance, promote franchising. LEDI isn’t just another lighting manufacturer; we’re a team of reliable, attentive, and knowledgeable lighting techies who place high value on the satisfaction of our customers. We believe that by providing the little things associated with our products and services, we provide the big things. There’s no stopping our commitment when it comes to our customers. We stress the ease of communicating with us; whether it’s through one of our various social media platforms, dropping by our local warehouse, or calling one of our knowledgeable and friendly customer service geniuses. We love working on each and every project, large or small. After all, it’s the reason we come to work with a smile on our faces. When we started LEDI in 2010, it was based on the principle of creating experiences and opportunities; it wasn’t based on profits or sales. We wanted to create a company that provided exceptional products, and even more exceptional service. We don’t want to just sell our products. We want to introduce you to our family, share our core values, and spread our knowledge. Explaining, demonstrating, and supporting customers through the entire experience encourages us to always keep learning and creating; being the best at who we are and what we do. Our products are innovative and cutting edge not by chance, but because founder Nick Senofsky leads our company with a relentless commitment to integrity, service, and quality products that provide value to our customers. His desire to create more than just a lighting company fuels our unique products and accessories and in the end, provides our customers with a piece of art in their space. For us, it’s not just about lighting. We’re a family that prides ourselves on being invited to Thanksgiving dinner and birthday celebrations. It’s who we are, it’s what we do, and it’s why we do it. We’re your lighting partner. At LIGHT, we believe in challenging the status quo, thinking differently and using lighting to inspire. We are Houston’s modern lighting destination, offering contemporary light fixtures, furniture, LED lighting, backlit mirrors and complete lighting solutions for both residential and commercial projects. LIGHT provides expert advice and lighting design services to individuals and the trade. LIGHT displays statement worthy light fixtures paired with expert advice and design experience. We inspire people by featuring contemporary lighting and furniture that is carefully curated and displayed. Located in the Houston Galleria area, our modern lighting showroom is open Mon-Thurs 9-6, Fri 9-5, and Sat 11-5. Complete installation, repair and service of gas lights. Specializing in decorative light fixtures, Universal Lights welcomes you to come visit our newly expanded 15,000 sq ft showroom located at 4711 S. Main St in the Stafford /Sugar Land area in Fort Bend County, Texas just outside of Houston. We offer a tremendous variety of chandeliers, crystal, lamps, ceiling fans, and exterior lighting. We work with builders, architects, designers, contractors, and of course the consumer. Our trained sales staff is ready to assist you with all your lighting needs. Family owned and operated since 1987, Custom Lighting & Hardware is a one stop showroom where we provide an expert staff, a diverse selection and competitive pricing. We are conveniently located in west Houston on Westhiemer between Eldridge and Highway 6. We’ve been bringing daylight indoors to homeowners in Texas just like you for more than 16 years. Why? Quite simply, we believe everyone deserves to have more sunshine in their lives. With Solatube Daylighting Systems, sometimes called tubular skylights, sun tubes or solar tubes, you can enjoy pure, bright, natural sunlight throughout your home. During the last 16 years, we have installed over 10,000 Solatube Daylighting Systems. At Houston Daylighting, you will find a team of professionals ready to assist you with all of your daylighting needs. Whether you are remodeling, building a new home, or just want more pure, natural light - we can help. Here are a few reasons why we have so many happy customers. 1. All of our Certified Installation Consultants are employees who are trained and certified by the manufacturer. 2. We install on Saturdays! 3. We offer an excellent product and installation guarantee. 4. We install only Solatube Daylighting Systems. 5. Solatube International guarantees the highest performing daylighting systems or your money back. 6. We are licensed and insured with general liability insurance and workers compensation insurance. 7. We are upstanding member of the Better Business Bureau. 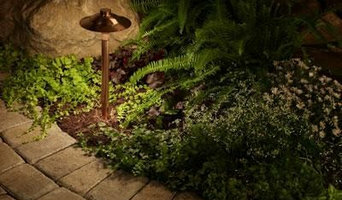 Outdoor Comforts, Katy's Leading Suppliers of Landscape Lighting Services Outdoor Comforts is a reputable supplier of cutting-edge landscape lighting services and solutions in Katy, Texas. Our line of products includes an array of exclusive styles to set the mood for different events. This includes parties, holiday celebrations and social gatherings. Our company offers incredible deals on landscape fixtures and diverse designs to transform any setting. Consultants are waiting to answer customer queries and give free quotes about their tailored service options. A well-lit home is essential for both functional and aesthetic reasons. Lighting designers will analyze your Conroe, TX home's layout, structure and needs to create an effective lighting plan throughout your home. Though electrical engineers or interior designers can take on the task of outfitting your home with the appropriate lighting, a professional Conroe lighting designer explores lighting as a technique. Think about how you plan to use each area of your Conroe, TX home. It's important to communicate to your Texas lighting designer which space will be used as an office and which will be a media room, for example, as these will require very different lighting methods. In addition, consider how you'd prefer to control the lights. Lighting technology today includes dimmers, sensors, photocells (that let lights react to the amount of daylight in a space), programmable scene controls (that let you program different settings for varied lighting) and whole-house lighting controls (that let you control all or a portion of your home's lights from one source), allowing you to tailor your lighting controls however you wish. Find a lighting designer on Houzz. 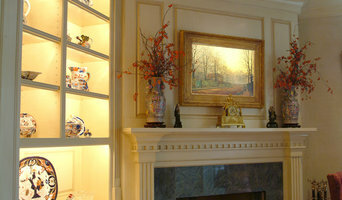 Narrow your search in the Professionals section of the website to Conroe, TX lighting designer. 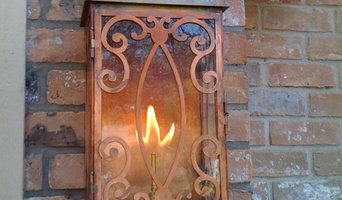 You can also look through Conroe, TX photos by style to find a lighting design you like, then contact the designer.